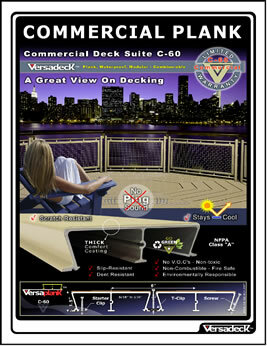 Major structural element used in Versadeck™ Commercial Aluminum Decking Systems; Versaplank™ and Versamods™. Supports 100 lbs psf at a 48 inch span. 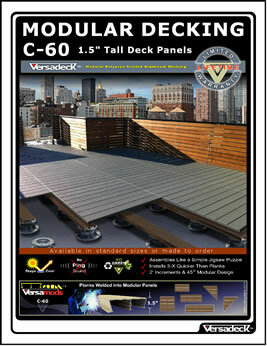 Supports 60 lbs psf at a 60 inch span. Light Weight - 3.5 lbs per sq. ft. 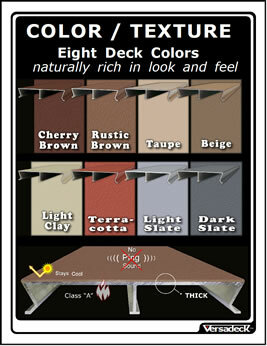 Available in plank lengths up to 32 ft. 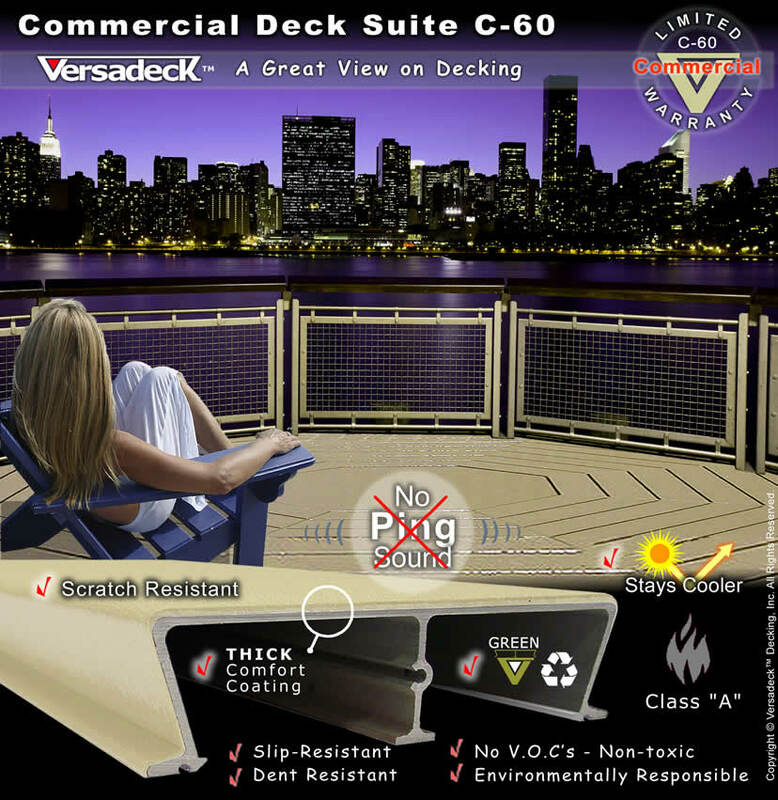 Contains zero VOC's and no solvents. 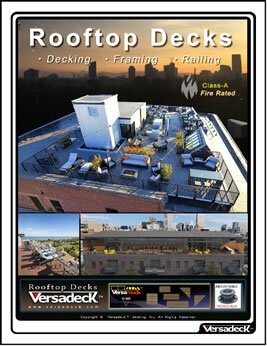 NFPA Class A fire rated as non-cumbustible.